The following graphic marks the latest installment of the Syria Situation Report (SITREP) Map made possible through a partnership between the Institute for the Study of War (ISW) and Syria Direct. 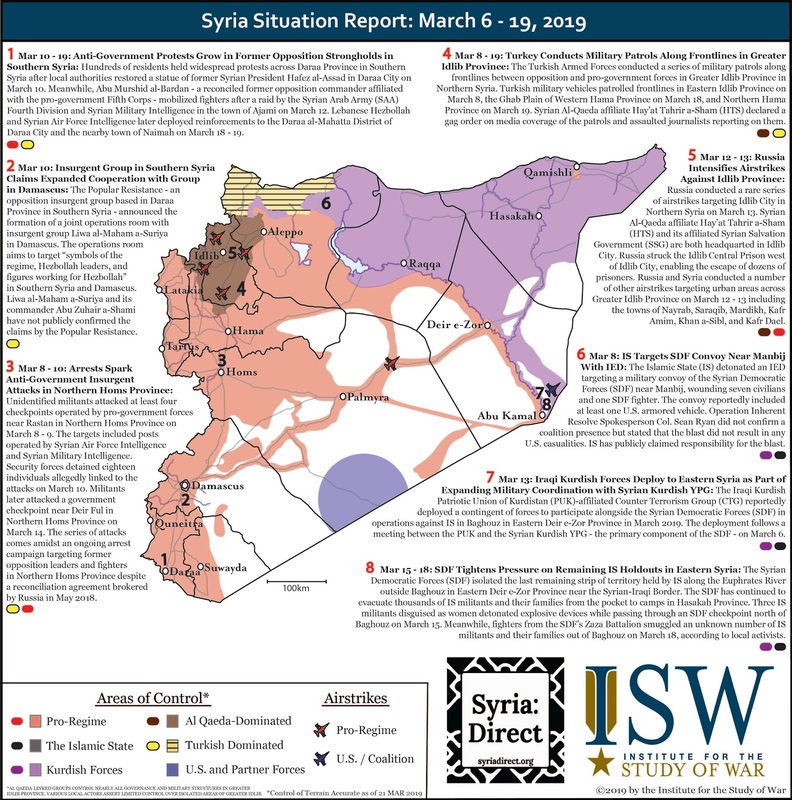 The map depicts significant developments in the war in Syria during the period March 6 - 19, 2019. View the enlarged map here.